OK Ole Salts- Snapped this photo today aboard Razorback...any ideas what/where it is? If you want to take a shot at it, simply click the "comments" link on this message and make your guess. The first one who gets it right will get a free Razorback Hat mailed to them! Lower level Maneuvering Room. 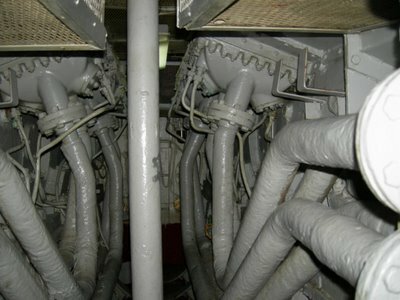 Main Motors cooling water connections. Watch Fireworks from the Submarine!